With the state of today’s environmental system, the need for beekeeping just became more and more important. There has been a decline in colonies which results in a loss of a huge number of bees. Bees are pollinators and they help cultivate our crops such as fruits and vegetables. They are essential for the sustainment of the ecosystem. Simply think that when the bees die out, eventually, humans will run out of food. In fact, in the book by Nobel Prize winner Maurice Maeterlinck titled The Life of the Bee, he quipped, “If the bee disappeared off the face of the earth, man would only have four years left to live.” Majority of the food that humans consume were pollinated by bees. Bees are essential for the survival of the ecosystem. That is why it is of our best interest to support those who keep these bees alive. If you are a beekeeper, then you must want the best equipment for your hives. Although bees are pretty much sufficient working on their own, sometimes they might still need help. Bee Feeders are one of the important tools during times when bees require assistance. In this article, we are going to learn about what bee feeders are and where you can find the best bee feeders for your colony. What is a Bee Feeder? When should a Bee Feeder be used? Where can I find the best Bee Feeders for sale? A bee feeder is used as a container for the bees’ food if they are experiencing a shortage in their own supply. This is usually not a common occurrence but when it does, beekeepers need to intervene to ensure that the bees do not starve to death. However, it is a common misconception that beekeepers should leave feeders throughout the hive, this is simply not required. Bees are self-sufficient insects so what should be done is to only lend a helping hand, not to spoon feed them. As mentioned, bee feeders are only used on very specific occasions. Generally, there are two situations in which bee feeders must be used; when a new colony is being established and when winter is coming. When a new colony is being established, bee feeders have to be used because they still do not have any resources. Being new to the area, bees need to be fed so that they will have the energy to familiarize themselves with their surroundings and then gather their own food. This is the most common time when bee feeders are usually bought and utilized. Another situation when bee feeders are utilized is during winter. Obviously, only a few flowers grow during winter so the bees will have a lack of nectar resources. Bees will always make sufficient storage of honey during the summer and fall in preparation of winter. So, in order to help them, you can always encourage their work and have them create more honey by using a bee feeder especially during the autumn season wherein winter comes after. However, it is recommended that you have to assess whether the bees actually need the extra hand because they are pretty self-sufficient and using a bee feeder must only be used as a last resort when their resources are actually insufficient or rapidly depleting. There are quite a number of different types of bee feeders. You can always research and find out the most convenient one in your preferences. Since beehive feeding is a vital work in sustaining your hive and colonies, it is always of your best interest to find the one best suited for you. Although there are no perfect bee hive feeders, there will always be one that will resonate with your preferences. To help you, we have described below the different types of bee feeders and where they are most helpful. Open Air Feeders – This type of feeder is pretty self-explanatory. The feeders are simply placed out in the open. However, this type of feeder is not recommended because it might attract unwanted visitors. Many other insects like wasps, skunks, birds, and raccoons, might take advantage of this feeder and steal away the food that you intended for your bees. Because of this, there is a high probability that the food will be infected with diseases because of parasites and pests that these invaders carry. In addition, bees will have to fight off these invaders which makes them weaker. Entrance Feeders – This type of feeder is definitely the most popular among beekeepers and backyard hobbyists. They are made up of two compartments. First is the feeding tray which is inserted into the hive entrance, hence the name. Second is the syrup container, usually a transparent glass jar that is locked in the base of the feeder but remains outside the hive. This is popular among beekeepers because it is easy to refill, and you do not have to constantly open the hive and disturb the bees just to check the sugar levels. However, the only downside with entrance feeders is during winter time. Because of the freezing temperatures, chances are, the sugar syrup or liquid will eventually freeze rendering them useless as sources of food by the bees. Some colonies also tend to rob each other off when entrance feeders are used. However, there are methods such as using a nuc to avoid a robbing stimulus. Internal Hive Top Feeders – This type of feeder is placed on top of the brood boxes and it is aligned with a hole in the inner cover. They hold a massive amount of sugar syrup and they are quick to be refilled. They are also immune from invasion because it is well placed on top of the hive where only the bees can access it. Most beekeepers, however, suggest against using this type of feeder if you have plans to move the hive especially when it is full. The syrup might splash everywhere, and you will have a sticky problem. External Hive Top Feeders – This type of feeder is also placed on top of the hive but as opposed to internal hive top feeders, they are inverted over an entrance hole in the inner cover. Unlike internal feeders, you have to cover this type of feeders because animals or strong winds might dislodge or move the container. However, like internal hive top feeders, they also can hold a lot of syrup, but it also will be quite heavy. So, as a solution, many beekeepers use plastic pails instead of glass ones to avoid a heavy container that might slip on rainy and windy days. Baggie Feeders – This is a very simple type of feeder because it is only a spacer rim where you can place your plastic zipper bag containing the syrup you intend to feed the bees. Once you have properly positioned the sugar bag in the slit, you can cut it out open and the liquid will come out. The bees will then take a sip out of it. This is considered to be the safest way of feeding the bees. More often than not, no bees die, or a small number only die when they tend to crawl to the plastic and down. Another advantage is that they are not prone to freezing during the winter time because it is surrounded by bees that will keep it warm. The only downside is that the plastic, being cut, can only be used once. Hence, it is not quite environmentally friendly, and it goes against the essence of beekeeping which is the sustainability of the ecosystem. Feeding bees should not be a permanent thing that you do for them. Always remember that bees are self-sufficient, and any lending hand should be temporary. As the famous saying goes, “What does not kill you makes you stronger.” If you let bees get used to your sugar syrup, their natural ability to forage and look for feed will be weakened, and they will simply rely on your feeder. So, you must stop feeding bees as long as it seems like there are enough honey resources to last them through and if they seem to be losing interest in the sugar syrup. There are tons of bee feeders available in the market. 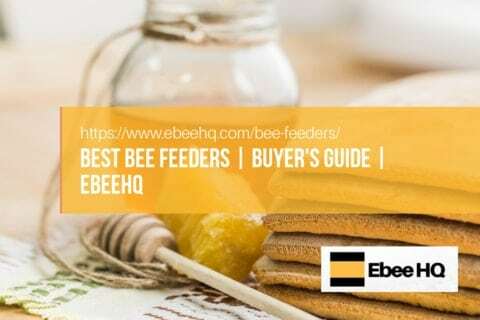 For you to have an easier time choosing the best option for you, we have narrowed down the best and most affordable bee feeders available in the market. Listed below are beehive feeders that have received high ratings and are frequently recommended by experts and hobbyists. Since we place our customer’s needs at the forefront of our research, we have listed the beehive feeder equipment from the least expensive to the most expensive ones. Without further ado, here are the Top 8 Best Bee Feeder item. Manufactured in the United States, this product by Harvest Lane Honey is durable and one of the popular choices among beekeepers. It is an entrance feeder which is very convenient for refilling as you would not need to open up the hive in order to lend the bees a helping hand when their supplies are low. The material is made out of plastic and is considered to be a perfect fit if you are keeping a Langstroth hive. The product is perfect for beekeepers and hobbyists who used sugar water to feed their bees. Perhaps a favorite amongst beekeepers, this product by Harvest Lane Honey is simple and easy to use. However, this unit is not recommended to be used during winter time. The product also needs a glass jar, but the unit sold does not provide it, so you have to buy it separately or use a jar found in your storage. If you want the whole package and have some extra bucks to spare, you can always opt for the complete unit with glass jar included for only at the price of $19.78. The product remains popular because it is easy to install, its sturdy material makes it last a long time, and it is quite easy to use for your convenience. In addition, the product is the cheapest on the market, but its quality and function make it seem to be more expensive than it is. Gooday prides itself as a provider of a high-quality plastic entrance bee feeder. It is one of the most affordable bee hive feeders in the market that does the job well and right. Included in the package are 10 pieces of entrance feeders of which the installation is pretty much a breeze. Mason jars are a perfect fit as a container which makes it easier since mason jars can be found in many stores and even in your kitchen. Mason jars are transparent so you can always monitor the amount of sugar syrup or sugar water left. Since this is an entrance feeder, there is definitely no need for you to interrupt the bees and disturb them. Simply place the feeder in the hive entrance and voila, the bees will have their food supply already. Many customers have bought this product and recommended it because it is efficient and simple. It definitely requires no complicated tasks in order to set up the feeder and literally takes a minute to set up. Even if you are maintaining the feed, changing and refilling is extremely easy to do. It works great just like how a standard beehive feeder should. 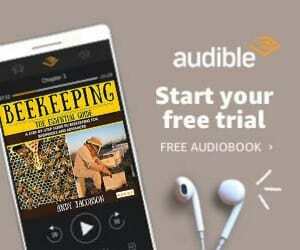 Not to mention, its affordable price will get you more than your money’s worth. It also has small holes for easy water injection which allows a smooth flow of feed without any disturbance to the bees works. This beehive feeder by Mann Lake is an entrance feeder which is easy to use and install. It has all the essential features needed for an effective bee hive feeder. It is lightweight and made out of sturdy materials coupled with a design that is easy to the eyes. Since this is an entrance feeder, you can check the feed level without having to disturb or open the hive. The feeder is constructed 3.21 inches wide and is very convenient for use and when you are cleaning. You do not even have to buy another specific jar because you can always go for any mason jar you have in your kitchen, and if you do not have one, you can always buy cheap ones in the store. However, like most entrance feeders, this product is not recommended for winter feeding. This bee feeder by Mann Lake is perhaps the most popular choice among beekeepers and enthusiasts, and there is definitely a reason for that. Not only is the product affordable and light, but it is also very sturdy so you really can use this unit for a long time. As one of the highest rated bee feeders in the market, the product prides itself as with its durable materials that will surely last for years. This is a great product to give the bees an extra boost and an extra hand when their supplies are deficient. This bee hive feeder by Little Giant Farm & AG is constructed using sturdy and durable plastic. It is an entrance feeder which will absolutely fit directly onto your hives. It has a tray which extends to the hive making the feed more accessible to the bees while giving them space to come and go their hives. Unlike other products, the package also already comes with its own transparent glass jar making it easier to see the sugar levels for you to refill it when it Is low. Because of this, you can always replace and refill the jar without having to open nor disturb the hive itself. The jar can hold up to a maximum of one quart of sugar water or sugar syrup. If your bees need some help in feeding themselves, then you can always choose this beehive feeder by Little Giant Farm & AG. This is perfect for those who are looking for something easy to refill and something that does not need to disturb the hive. Many customers have praised it for its sturdy base and actually does everything it says it does. Once you buy this product, it will unquestionably take a long time before you even think of replacing it. This product by Rocket Hardware is made out of high-end plastic and quality material that is not easy to crack and are safe for the bee’s food container. The unit also provides a clear cap for the bee feeder which lessens the chances and risk of drowning bees. The bee feeder can be used in a medium 8 frame or even in a 10 frame. The bee feeder’s capacity can reach up to one-half gallon of sugar syrup. It has a ten and a half inches diameter and two inches deep. Rocket Hardware’s rapid round bee feeder has been said to prevent any robbing stimulus. Robbing is a situation wherein bees from other beehives steals or attacks other beehives. 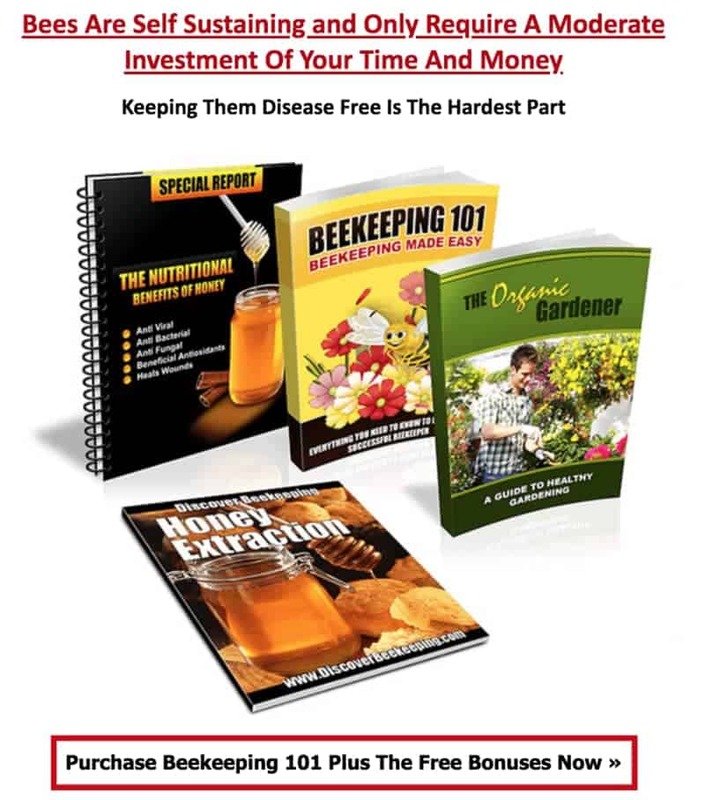 It is a major problem in beekeeping and if you have this situation quite often then you might consider getting this product by Rocket Hardware. The internal feeder provided by this product prevents inadvertent robbing usually caused by entrance feeding. What makes this popular among beekeepers is also the fact that hives do not have to be disturbed to be able to refill. It is space saving because it does not fill up too much area and it is very easy to clean. The type of this board man feeder by honey hive farms is an entrance feeder. It is constructed using a heavy-duty metal and durable wood. It has a practical design that makes refilling and checking sugar levels easier as compared to other products. In using this product, you do not have to necessarily open up the hive to feed the bees. Because of this, refilling and checking the sugar water amounts can be less stressful. This is a very handy product to keep in your storage in case the colonies food supplies deplete. Perhaps amongst one of the top contenders in the best bee feeders, this product by honey hive farms is certainly a beekeeper favorite. Aside from its affordable price it has a design that is quite effective in feeding bees easier. The only thing lacking in the product is the inclusion of the glass jar. The inverted glass jar has to be bought separately but it can be found in the Amazon link as provided above. You can also any mason jar that you might currently have in your kitchen. Despite that, this product remains among the top choices of beekeepers and hobbyist. Mcupper’s Honey Entrance Feeder is a cost-effective and definitely an easy to use bee feeder. It is non-disruptive and it is also made out of very light materials. It is made out of 100% brand new and high-quality plastic. Each refilling piece is separated by a width of 76mm and its length reaches out to 160mm. You can use your 16 ounce or 2-liter bottles of mineral water and soft drinks to cover the container. This bee feeder is the fastest and perfect way to help provide food for the bees without opening the hive. It is one of the popular choices of beekeepers because they are quick and hassle-free to refill. They can provide the sustenance that the bees need without even having to disturb or open the hive. Technically, if you are looking for a not so fancy piece of equipment, and something that just does its job, then this is the bee feeder for you. There are definitely not many issues except that the brand only provides the bee feeders in the color white, but this colour is soothing and calming to bees, so it’s actually well thought-out. Overall, this bee feeder is the perfect entrance feeder for anyone who wants a very simple way to lend a helping hand to the pollinators without having to spend lots of money. This beehive feeder by Tough Timbers can fit 10 hive frames and has floats. To put it with sugar syrup, you can place the bee hive feeder on top of the colony, fill it with sugar water or syrup, cover with the inner cover provided, and then replace the top. It also has floats to avoid the bees from drowning the sugar water. This Tough Timbers bee hive feeder is very tough and sturdy because it can accommodate up to two gallons of feeding water. Aside from these already commendable features, you also do not have to set up the bee feeder yourself because it is already delivered compact, stapled, glued, and ready to install. Many customer reviews have praised the beehive feeder for its two-gallon capacity. It is very convenient for them since you do not have to refill constantly day by day. Some even refill sugar water only once a week. It is also a very good bee feeder because it is well built and quite handy so, considering that bee feeders are not always used, you can expect this bee feeder to last for quite a long time. Feeding bees is technically easy when you have the right beehive feeder. However, it still requires other items for you to completely have all the necessary equipment to lend your bees a helping hand. To help you, we have listed items below which are important for you to get. These are items that work hand in hand with the bee feeder and are essential to maintain your hive colonies when their resources become low. Honey – Of course, you cannot use a bee feeder if you have nothing to fill it with. There are many options of food you can serve to your bees but the number one is no doubt, honey. This is the best food you can give to your bees especially during the harsher months of winter. Before winter arrives, you can remove the honey bars from the hives and store them. Days before the bees shift their system into winter mode, you can return the honey into the hive. Make sure to avoid removing honey during winter because bees usually think it is gone forever, making them work twice as hard, eat twice as hard, and then your honey storage will quickly be gone. Sugar Syrup – When the bees are hungry and you have no honey or other food left to give them, sugar water or sugar syrup is always the best choice. This is also the best food to use in your beehive feeder because they are easy to make and refill in the container. There are tons of sugar to water ratios that are recommended depending on the level of needs, the season, and the activity that you want the bees to do. During springtime or when you are trying to draw a new comb, the 1:1 Sugar Water ratio is recommended. On the other hand, when it comes to fall or when the honey storage is not even, you can always take it up a notch to 2 parts of sugar to 1 part of water. If you are targeting brood rearing, you can simulate it by switching the ratio to 1 part of sugar to 2 parts of water. The beekeeping industry is very competitive. There are so many products that seem to work well and are highly recommended. But amidst the competition, there is one product that we think is the best among the rest. We highly recommend Mann’s Lake Entrance Beehive Feeder. At a price not far from the cheapest ones you can find in the market, this product by Mann Lake is our top pick. Not only is it cheap but it is also consistently at the top of recommendations by beekeepers and hobbyists.